Sony gives Google a hand with Android O's wireless audio quality | What Hi-Fi? Sony's LDAC coding in more Android phones could be a step towards making high-res audio more accessible. 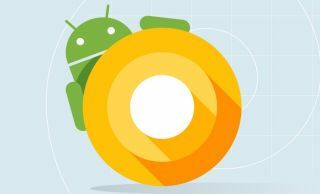 Google's new Android O operating system has apparently been improved by Sony, one of Google's Android partners. According to a spokesperson from Google speaking to The Verge, Sony has so far “contributed more than 30 feature enhancements and 250 bug fixes”. Among those improvements is Sony's LDAC wireless audio coding, which the company claims transmits data three times more efficiently than Bluetooth's encoding and compression system, to better handle high-res audio. The coding is already in many of Sony's products, including its MDR-1000x headphones, the NW-ZX100HN and NW-ZX2 Walkmans and its Xperia smartphones, but it's now possible we'll see other Android manufacturers adopt it in their own smartphones or tablets. While high-resolution audio is yet to be adopted by the majority - despite Tidal's move towards it through MQA, or Spotify's flirtation with lossless audio - this could be a step towards greater accessibility.